Title @ the end of the article* (L) & (R) Source: Scentsy, Inc.
USPA NEWS - Imagine trying to create Fragrances that capture Mickey Mouse's Charm, the Friendly Forest that makes up Winnie the Pooh's Hundred Acre Wood, or the Inquisitive and Open-Minded Bravery that is Belle ; International Fragrance and Home Décor Company Scentsy is doing just that. Scentsy is launching a Variety of Fragrance Products and Scented Plush Toys featuring Mickey and Minnie Mouse, Hundred Acre Wood, Disney Princess and Disney-Pixar Finding Nemo. Imagine trying to create Fragrances that capture Mickey Mouse's Charm, the Friendly Forest that makes up Winnie the Pooh's Hundred Acre Wood, or the Inquisitive and Open-Minded Bravery that is Belle ; International Fragrance and Home Décor Company Scentsy is doing just that. 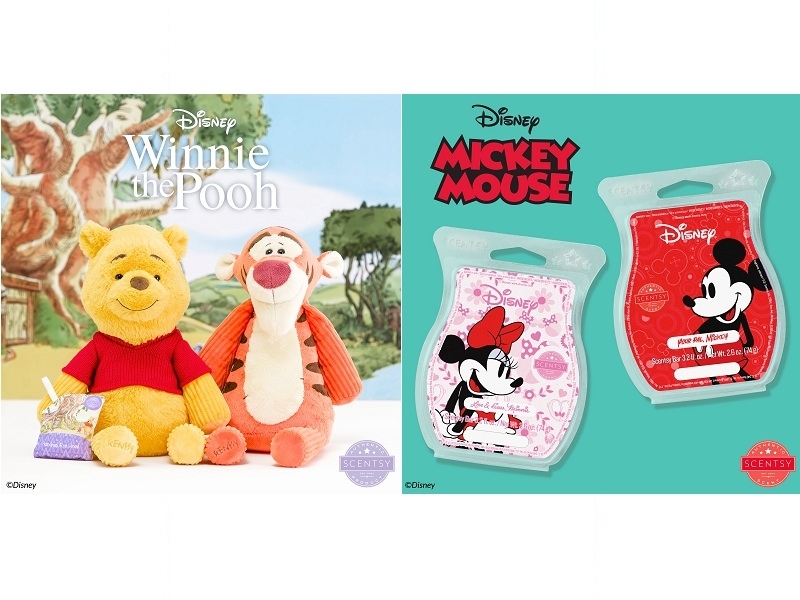 Scentsy is launching a Variety of Fragrance Products and Scented Plush Toys featuring Mickey and Minnie Mouse, Hundred Acre Wood, Disney Princess and Disney-Pixar Finding Nemo. Several Special-Edition Products will launch throughout the End of July and beginning of August, with the full Disney Collection available for Purchase through Independent Scentsy Consultants starting Sept. 1, 2018.